You don’t have to be a professional athlete to experience a painful lower back. At some point in life, everyone will struggle with it. It started with a slight pain while pulling the weight up. With every Deadlift the pain got stronger, and my lifts weaker, until the day I started wondering how am I going to walk back home. My lower back literally shut down. The problem: weak core stability, stiff iliopsoas, imbalances and strained back muscles. Extreme physical exertion and hours at the office behind the computer, combined with no drills for midline stability lead to chronic bad posture, muscle imbalances and stiffness. Building your body stronger through training is beneficial and would normally help with it, but only when it’s done in the right way: with good technique, a smart attitude and drills for balance, core strength and stability. Ego over safety, and weights your body is not ready for, lead to pain in the lumbar area, and pretty often to lower back injuries. Great looking abs won’t help your training if your trunk is not strong and functional. Weak core stability is often the leading cause of lower back pain. A strong core and the deep trunk muscles are essential for maintaining the stability of the spine and pelvis. Think of it as a way to keep your back strong and under control during the lifts. Core strength is essential and should be part of every athlete’s – whether recreational or professional – training plan. If your muscles do get sore, make sure you get the proper rest and recovery times. 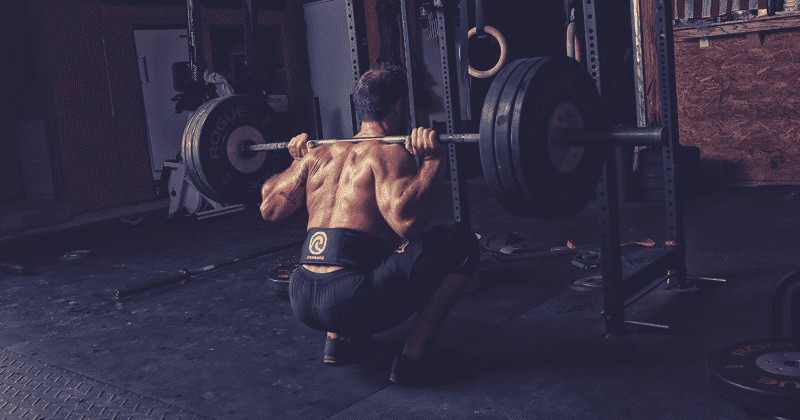 When competing in Crossfit, with high rep lifts, or maxing out under time pressure, athletes often use a lifting belt for an additional support, and therefore adhere to safety precautions. Sitting in the office for hours and pulling heavy weights at the gym right after it, can stiffen your hip flexors to the level when your lower back hurts on regular basis. Blame it on iliopsoas, the hip flexor combined of two muscles: psoas, long deep muscle which runs from spine to femur, and iliacus, a flat muscle running from hip to thigh. Lifting belt for an additional support. Tighter hip flexors and limited extension range of motion in that area can lead to a painful lower back. The solution, besides improving your core stability, can be active and passive stretching. Hold lunges for 45 seconds, repeat with three sets, each leg. Also stretch your hamstrings and glutes while keeping your back straight (not “cat curved”). Lifting weights you’re not trained for, combined with a bad form, can cause serious health issues. Lumbar strain is an injury to your lower back. The muscles that stabilize your spine can be stretched too far, which causes tiny tears on the tissue. Consequently they get weaker, not supporting your spine correctly, and make it less stable and painful. Symptoms differ from sudden pain, spasms, sever pain, stiffness and soreness. Back support brace can help with easing the pressure, stabilization, keeping the back warm and relieving the pain. In any case, seek medical treatment for further diagnosis. You can only reach your full potential if your back works with you. When using a back brace you increase blood flow and working temp is quicker reached. Blood lactate level is lowered much faster due to warmth and compression, by a back brace. 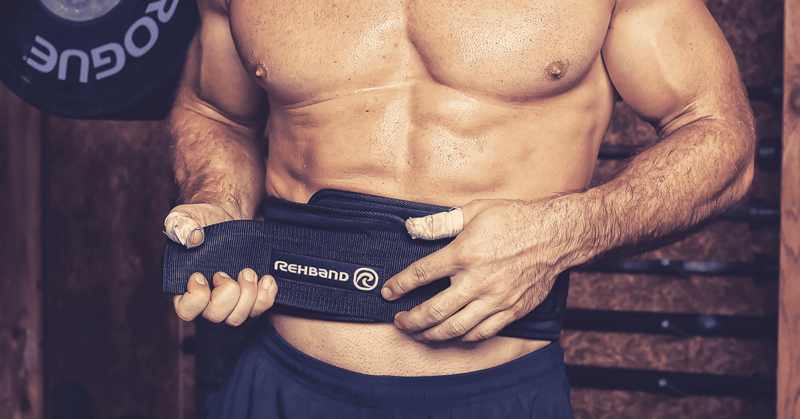 – Johan Bolin, Product Developer of Rehband products and Physiotherapist, Otto Bock Scandinavia AB. If the pain extends from the lower back over the buttock and all the way down through the leg (usually on one side only), you might be dealing with sciatica. The symptoms include the pain originating in the sciatic nerve (running from the lower back down to the back of your legs), and is caused by pressure or irritation being placed on that nerve. Other symptoms include burning sensations, numbness and weaknesses or tingling in the above mentioned area. Causes that can lead to it are: short and tight piriformis, spinal stenosis (narrowing of the spinal canal), slipped vertebrae or herniated disc. The reason for sciatica can be a herniated disc. Healthy spinal discs act as shock absorbers between the vertebrae and allow the movement of the spine, they keep it flexible. Putting too much stress on it through extreme physical exertion, heavy deadlifting or squatting without having good control over the lift, can damage those discs: they may bulge or break. What causes the pain is the slipped or ruptured disc, pressing on the nerve which leads to severe, excruciating pain, numbness, weaknesses, even loss of balance and bladder control. In any case, you should seek medical treatment immediately. Only a healthy athlete can be a successful athlete. When pain or injury do occur, seek the right treatment and treat is as a lesson learnt.